A mere day after Intel surprised the world by announcing a 28-core processor, AMD upped the ante with Threadripper 2, headed by a 32-core, 64-thread beast of a chip. In this special episode of The Full Nerd, AMD's senior VP of computing, Jim Anderson, sat down with Gordon after the reveal to dive deeper into the specifics and design of the chip, like he did after 2nd-gen Ryzen's launch. Anderson explains how AMD's Infinity Fabric allows Threadripper 2 to run with all four interior dies active, and that a monster chip like this was planned from the start. 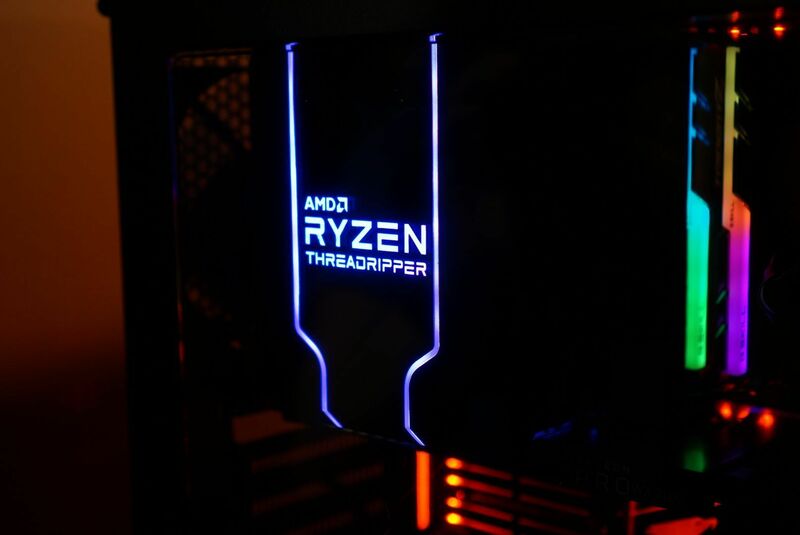 The chips run on the same 12nm Zen+ CPU cores as 2nd-gen Ryzen, with all the same features, but these are cherry-picked dies so that only the best of the best available chips make it into Threadripper. Yes, Wraith Ripper has RGB LEDs. And get this: The Threadripper 2 demo ran on a monster of an air cooler! AMD designed the Wraith Ripper in conjunction with Cooler Master, and you'll be able to buy it on store shelves. Anderson brought one to show off. That's just the tip of the iceberg. Tune in to the full video above to learn much, much more about AMD's beastly 32-core Threadripper 2.